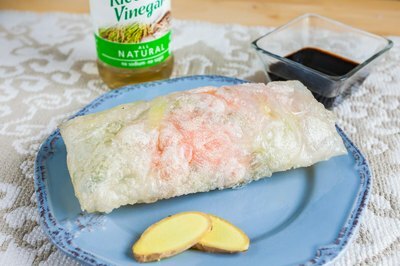 Edible rice paper sheets, or banh trang, are delicate, thin wrappers used in Vietnamese cuisine to create both fresh, cold salad rolls and deep-fried spring rolls. While dried rice sheets are widely available at Asian markets and many large grocery stores, you can make fresh ones at home using a slurry of rice and tapioca flours. 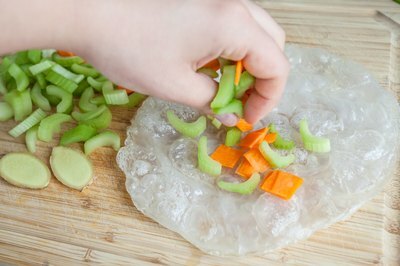 Once complete, wrap the rice papers around countless fillings to create a light meal or appetizer. Create a batter using equal parts of rice flour and tapioca flour. Add 2 tablespoons of cornstarch and 1/2 teaspoon of salt for each 1 1/3 cup of the flour mixture. Slowly whisk in 1 tablespoon of oil and enough water to create a thin batter, similar in consistency to crepe batter. 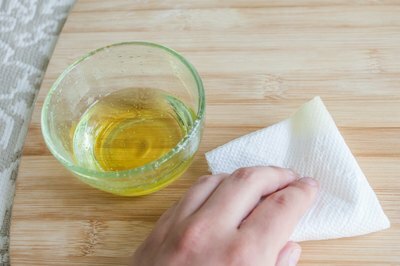 Prepare a cutting board by wiping it with a little bit of vegetable oil to prevent sticking. 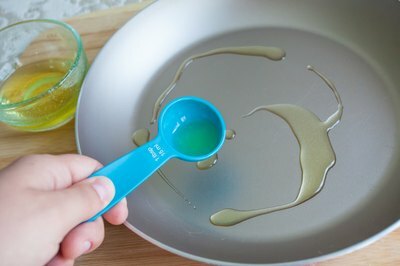 Add 1 teaspoon of oil to the pan and heat it over medium heat. Fill the 1/4-cup measuring cup three-quarters of the way full and pour the batter into the pan. Swirl the pan around quickly so that the batter covers the entire bottom of the pan before it sets. 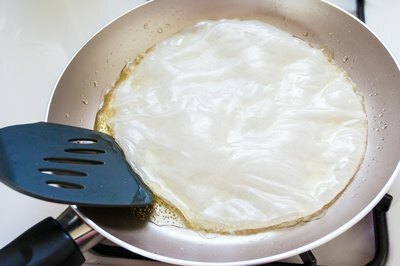 Once it is set, cover the pan and steam the rice paper for 30 seconds to one minute, or until the top is cooked. Remove the pan's lid and loosen the edges of the rice paper using the spatula. Invert the pan over the cutting board and tap it on the cutting board until the sheet falls out, taking care to have the it land flat on the cutting board. Once cooled, fill the rice sheet with ingredients and roll it up.